Stop the presses! The search is over. I have found the BEST copy cat recipe for Sprinkles Red Velvet Cupcakes!! Seriously. I made these cupcakes 3 times in one week...they're that good. They even received the thumbs up from 2 ladies I consider Sprinkles Cupcakes experts (you know who you are). The true test if a recipe is a winner is if people request it from you and are still talking about it days or even weeks later. Since I can't take any credit at all for this recipe and I didn't adapt or change it in any way, I'm posting the link directly to the blog. Get the best Sprinkles Copycat Red Velvet Cupcake recipe here on Cooking Classy. 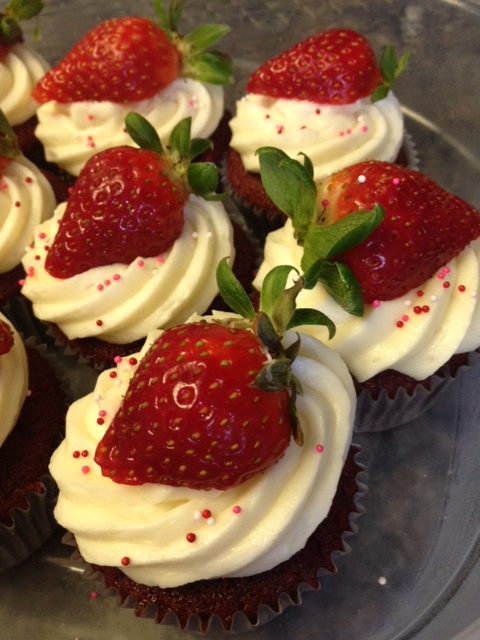 Tip: If you decorate your cupcakes with sliced strawberries like I did, do not add them until your're ready to serve. 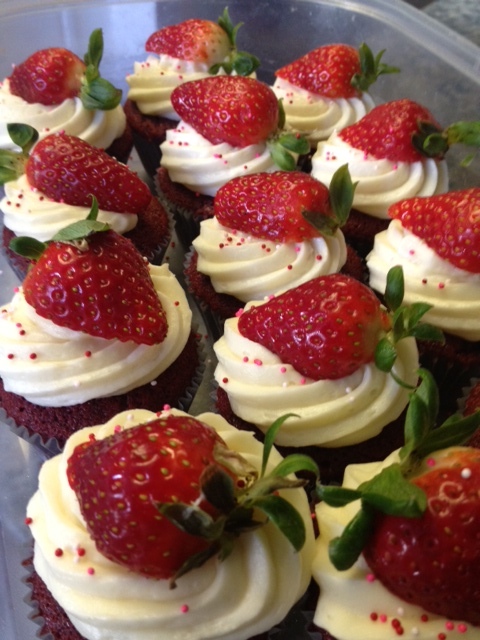 The juice from the strawberries will break down the cream cheese frosting. 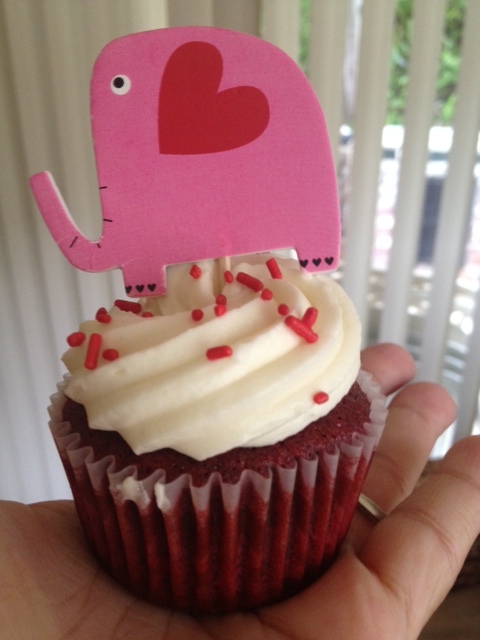 These cupcakes made the perfect Valentine's Day Treat!